The Gestures You Make to Your Wife Have the Ability to Change Her Very Existence… Use Your Power Wisely and Give Her the Gift of An Authentic Kashmiri Handmade Shawl! Your love is a gift that is always there for you when you need it most, especially when life gets confusing, chaotic and scary. You always have your love to rely on when times are tough. It’s that invisible power that inspires you to keep moving forward… no matter what life throws at you. And you always have your love to rejoice in when you find yourself vibrating with enthusiasm and excitement for life’s magical moments. But just like anything, your love needs to feel nurtured and appreciated to remain strong and grow so it can continue being there for you when you want and need it the most. It’s your expression of appreciation that fuels your love and gives you that priceless feeling of satisfaction when you know you’ve made your wife’s day by acknowledging what she really means to you. Because you should never just assume she already knows that she’s your entire world. You have to show her that you don’t… and will never take her for granted. And when you demonstrate a gesture of your love for her, it must be a gift as eloquent, original and special as she is… to you. 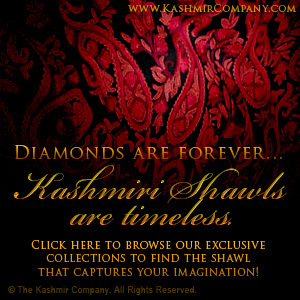 That’s why you’re going to give her a lusciously beautiful Kashmiri shawl. Imagine seeing your wife wrapped in a piece of handcrafted art that magnifies her own natural beauty and makes you fall in love with her all over again! How will she feel when she looks in the mirror and sees herself in a whole new light, as the colors and textures of her shawl enliven her aura and reveal her sacred feminine sensuality? While shawls are synonymous with the Far East, they’re quickly becoming a staple in the western world of fashion once again. 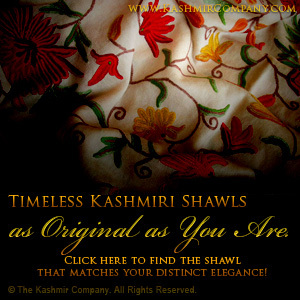 Giving your wife the gift of a Kashmiri shawl is the perfect way to surprise her with a piece of fashion-art that makes her tastefully standout at any special occasion in your lives… whether it’s at your daughters wedding or just a romantic night out on the town. 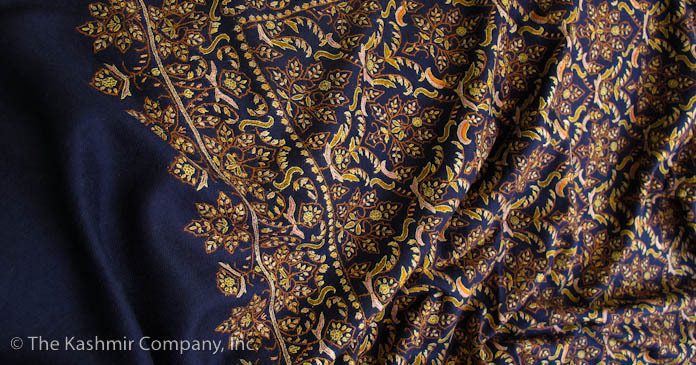 The possibilities for wearing a gorgeous hand-embroidered shawl are limitless. 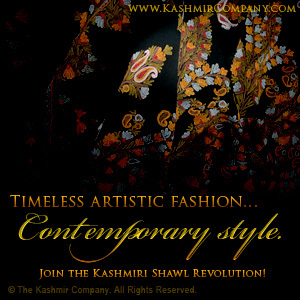 We at The Kashmir Company want you to be absolutely ecstatic about the gift you’re attracted to give your wife. …Give her an expression of your love that’s as ancient in its artistic history as it is modern in its style and ability to gracefully glamorize any outfit! Every shawl in our well-appointed collections has the ability to accentuate something different about your wife that makes her exceptional! 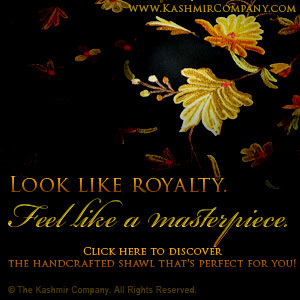 No matter what your intentions are for how you want to amplify your wife’s beauty with an authentic Kashmiri shawl, she will love you for the incredible gesture you’ve made. And your love will grow even stronger than it is right now… giving you the confidence to know she’ll ALWAYS be there for you! This entry was posted onSaturday, December 10th, 2011 at 11:27 pm and is filed under Anniversary Gift, Birthday Gift, blog, Gift, Love, Shawls. You can follow any responses to this entry through the RSS 2.0 feed. You can leave a response, or trackback from your own site. You can skip to the end and leave a response. Pinging is currently not allowed.